Andrew Gemmell should be in Melbourne ready to attend Sunday's Australian Open final between Novak Djokovic and Rafael Nadal. Plan A has been scrapped and replaced by a Plan B, which could turn out to be even more exciting for the man who, despite being blind from birth, attends major sporting events around the globe. Gemmell swaps the Rod Laver Arena, where two tennis greats go head to head, to pursue his own sporting dream with his horse Paisley Park at Cheltenham. Two years ago, the seven-year-old gelding was ‘at death's door' showing symptoms similar to the potentially fatal grass sickness. He was sidelined for 12 months. 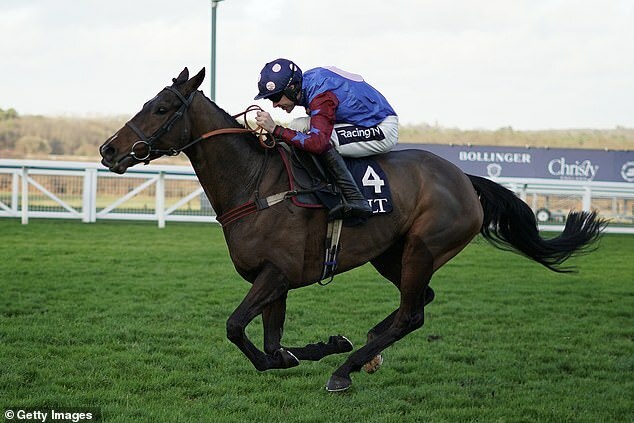 Yet after initial wins at Aintree and Haydock followed by victory in the Long Walk Hurdle at Ascot before Christmas, Paisley Park has become Britain's leading hope for the Stayers' Hurdle at Cheltenham's Festival in March. It's a place he can cement in the Cleeve Hurdle on Saturday afternoon. 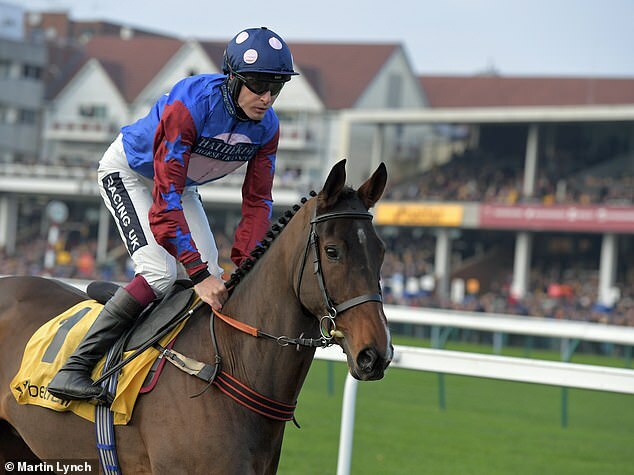 Sports-mad Gemmell, an MCC member and West Ham United season-ticket holder, had to change his plans after trainer Emma Lavelle decided to run improving Paisley Park at Cheltenham Trials Day rather than head direct to his big spring target. No one at the track will get as animated as Gemmell if Paisley Park and jockey Aidan Coleman are in contention running to the final flight. 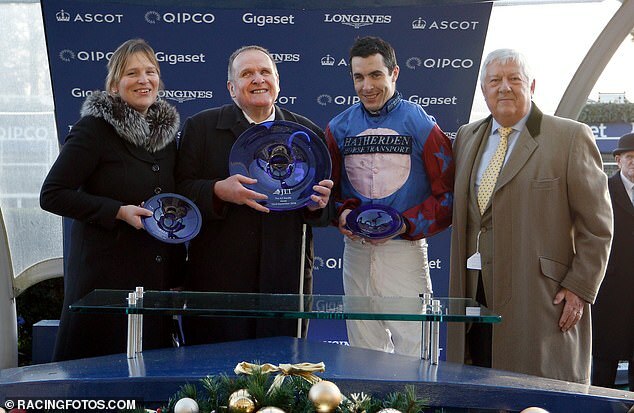 Gemmell, part of the syndicate which owned Ed Dunlop-trained 2015 Ascot Gold Cup winner Trip To Paris, said: ‘Racing is the one sport that you don't need a commentary relayed to you. ‘With cricket, I have my headphones for Test Match Special but on the racecourse, you can always hear the Tannoy. The atmosphere is great. ‘It was brilliant when Paisley Park pulled the race out of the fire at Haydock. At Ascot, everyone around me was saying he was going to win but you never quite believe it until it happens. ‘I had tickets for the semi-final and final in Australia but I have given them to a mate. There are no regrets. 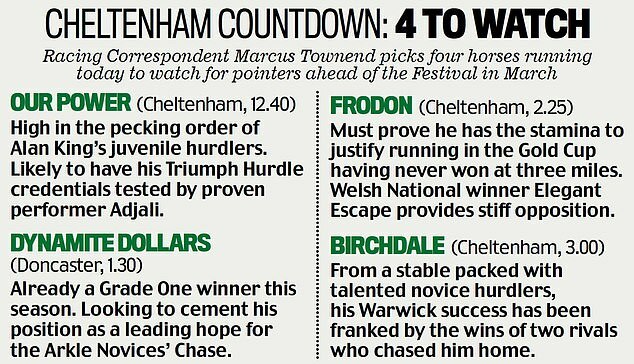 The final will be fantastic but I can't wait for Cheltenham. I get very nervous thinking about it. The transformed Paisley Park's two-length Ascot defeat of West Approach was a momentous first Grade One win in the career of both Lavelle and Coleman.